This pewter goblet features filigree Celtic knot-work along with the portrayal of Luke the Evangelist as a winged ox. The Celtic motif is repeated on the goblet four times. The Celtic goblet holds 8 ounces and measures 3" wide at the rim x 5" tall. 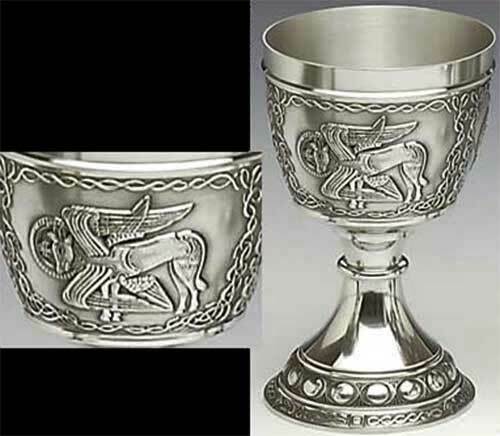 The Evangelist goblet is hand crafted in Ireland by Mullingar Pewter and it is gift boxed with a Celtic knot history card, complements of The Irish Gift House.